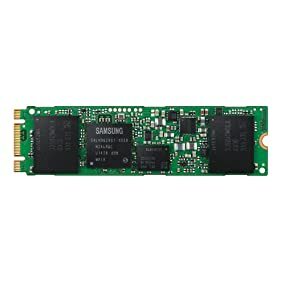 Transform your PC with the Samsung 850 EVO M.2 SSD. 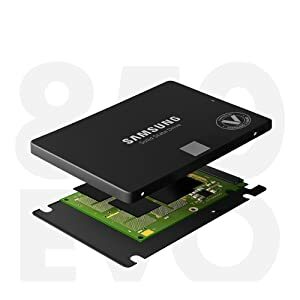 Featuring Samsung V-NAND technology and Dynamic Thermal Guard protection, the 850 EVO ensures the integrity of your data even under heavy workloads. It comes in an ultra-slim M.2 form factor that’s ideal for mobile computing. 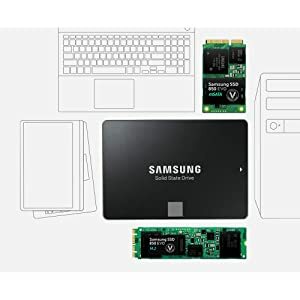 And thanks to its exceptional read/write speeds and TurboWrite technology, the SSD can easily handle high-intensity tasks such as video editing, data analysis, and gaming. 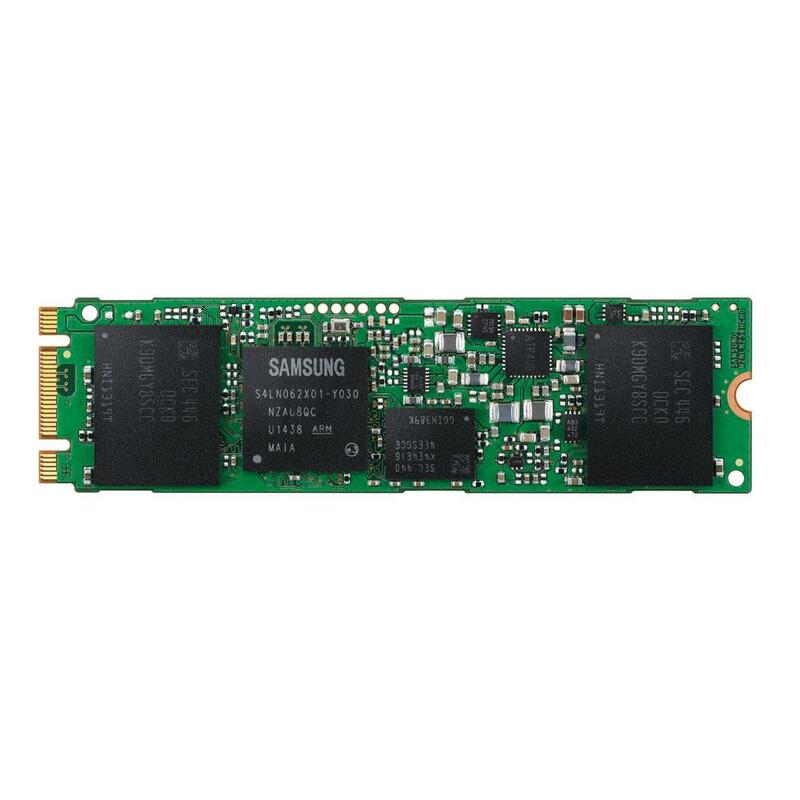 The 850 EVO SSD features Samsung vertical NAND (V-NAND) technology that stacks cell layers on top of one another to increase density, performance, and efficiency while creating a smaller footprint. When compared with the conventional Planar NAND technology over a five-year period, V-NAND technology increases endurance, prolongs lifespan, and is more resistant to wear when under heavy client workloads. 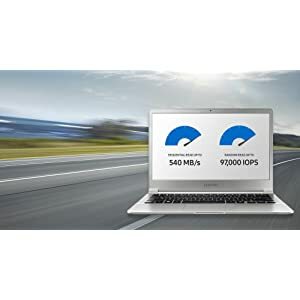 Using Samsung TurboWrite technology, the 850 EVO creates a high-performance write buffer area that accelerates performance whenever a write operation is underway. To boost performance for up to 2x faster* data processing speeds, you can activate RAPID Mode, a feature that reduces performance bottlenecks by utilizing unused PC memory as cache storage. These features make the 850 EVO ideal for demanding applications such as gaming, graphic and sound design, and data analysis. The 850 EVO uses AES 256-bit hardware-based drive encryption** to ensure your data is kept secure from unwanted access. It also features Dynamic Thermal Guard, a technology that automatically throttles the drive’s temperature when it approaches dangerous levels to reduce the risk of overheating. 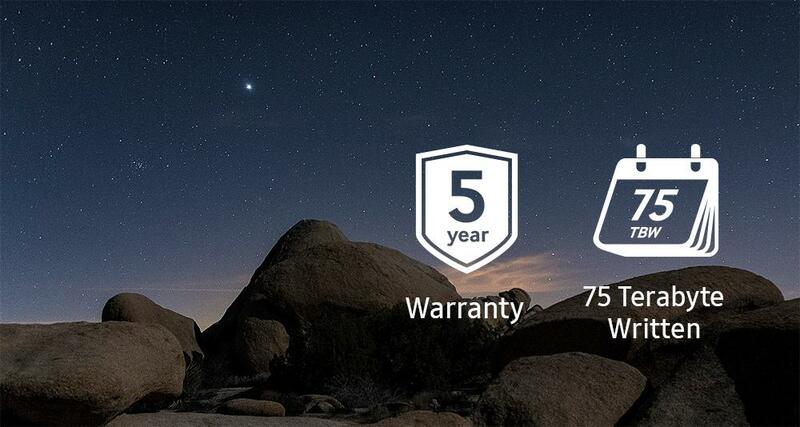 The 850 EVO is also backed by a five-year warranty up to 75TBW (Terabytes Written)***. * Compared to same drive w/out RAPID enable. ** AES 256-bit hardware-based encryption is compliant with advanced security management solutions, such as IEEE 1667 and TCG Opal. ***۵ years or 75TBW, whichever comes first. The 850 EVO is available in multiple form factors to meet your specific needs. 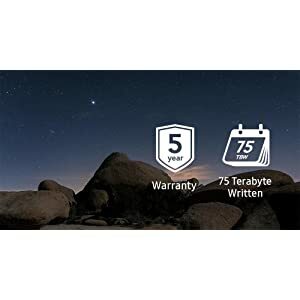 The 2.5-inch size is designed to fit most desktop PCs and laptops, while the SATA-based M.2 and mSATA are ideal for ultra-slim mobile computing.